Charles Hudson’s Peggy Goody and the Magic Triangle is a charming novel that combines ancient fairy lore with modern technology. The result is a sweet book about a teenager who saves her village friends time after time. When Peggy Goody saves a fairy with a broken wing, she has no idea that she’s about to become the human liaison to the secret fairy world. At first, they reward her with magic stretchy legs to be used for good deeds, but as she gains favor with the fairies by accomplishing more difficult and dangerous tasks, they grant her further powers. Eventually she finds herself caught in a vicious triangle between the evil monkey-gnomes and their treacherous allies, the Fire Imps. Only Peggy’s courage and resolution can prevent them from carrying out their deadly plans. Peggy is a sweet, obedient, thoughtful twelve-year-old with none of the rebellious tendencies or angst of a typical pre-teen. She never fights with her best friend, Cindy, or with her mother. She seems to handle the newfound attention of boys with ease and finesse. Humble and brave, she lives a charmed life where fire, wild animals, and evil cannot touch her. By the time she is thirteen, she has used her magic stretchy legs to save a child from a fire, a cat from drowning in a well, another child from drowning, and a farmer from losing his harvest. By the time she turns fourteen, the fairies trust her with enormous strength, which she uses to lift trees off the librarian’s house and clear the power lines to the hospital. Whatever the task, regardless of danger or difficulty, Peggy handles it with ease. Unfortunately, this sort of idyllic sweetness results in a complete lack of conflict. If ever she seems unable to complete a rescue, she has but to call out for Bluebell, her fairy friend, who conveniently solves whatever Peggy can’t. And every time she saves someone, the village gets together and rewards Peggy’s hardworking mother with things she is too poor to purchase on her own: a washing machine, a telephone, a delivery van for the family business. Teenagers who have struggled with poverty can only wish that their dreams could come true so easily. Furthermore, the story simply doesn’t ring true as a young adult novel. Due to the lack of real struggle in her life, Peggy experiences no emotional growth. She is a flat character with no personal goals, no need for self-improvement, and no fear of failure. Teenagers who understand pain and hardship will have a hard time identifying with Peggy’s charmed life. It is a shame that this finely edited, beautifully written book is so mismatched. If Peggy was eight or nine years old and this story was set two centuries ago, the adventures and rewards would have complemented each other. That said, there is much to enjoy about this novel, from the cleverly named characters in the village (Mr. Sparks, the engineer; Mrs. Stamp from the post office, etc.) to the Fairy Strategic Forces, equipped with cutting-edge technology that would make James Bond jealous. Also, the story’s overwhelming goodwill and benevolence are refreshing in this era of cynicism. 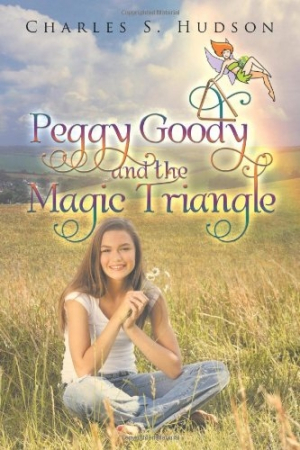 Peggy Goody and the Magic Triangle might be better suited as a chapter book for young readers than a novel for a teenage audience.